For starters, have a notebook for each subject. This so you can keep your notes separated and organized, and you don't have to waste time searching for them when you should be studying. If you're one to misplace your notebooks with regularity, add your name and grade on the covers, so they have a greater chance of being returned to you. If you want to make your study sessions more effective, write down a date and title for every lesson you have in your notebook, so you can find each one easily. Of course, to keep your notebooks organized, you need to have organized notes, written in nice penmanship and with structured ideas, so you don't have a hard time understanding them. Doodles and mistakes can take your attention away from your lessons when you should be studying. To avoid this, keep your notebooks clean. 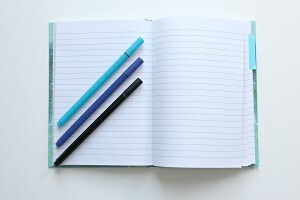 Another thing you should avoid is keeping loose papers in your notebooks (use your folders for them) or ripping pages off the notebook, since they may get lost. Finally, if you want to go the extra mile, you can make an index at the back of your notebook. Simply number all of the pages, and write down which lesson is at which page. Call The Tutoring Center, Navarre FL at 850-939-5384 to learn more about their academic programs, or to schedule a free consultation.